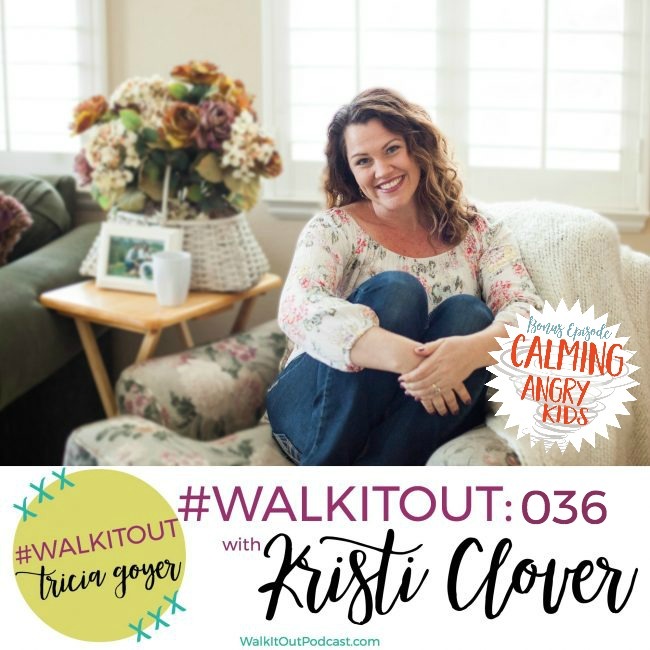 On today’s episode of #WalkItOut Podcast, I’m excited to welcome back my friend, Kristi Clover! In today’s episode, I’m excited to welcome back Kristi Clover. Have you ever met someone that you instantly hit it off with? One that you declare was the friend that you were looking for your whole life? That’s what it felt like when I met my friend Kristi Clover. She is such a bundle of energy, and she is such a joy. Kristi and I recently wrote a book called Homeschool Basics that we chat a little bit about in this episode, but we mostly talk about emotions. Both of us are homeschool moms which means we have our kids at home, all day long, Monday – Friday, weekends, every day, all day. And as you can image, there are so many emotions! I just know that you’re going to enjoy this episode with Kristi Clover! You can listen above or on iTunes! I’d love it if you shared with your friends!